A slightly more dramatic version is the little number shown at left. Of course, as the size increased, it gave an excuse to put up a tower to support the whole thing. The tower in itself added to the tacky aura, but provided an excellent excuse for its existence. One occasionally sees these antennae today, still serving their human masters. Consider the photo at right. Notice how the tower and antenna detract from the appearance of a charming dwelling. But if rabbit ears didn’t have quite the tacky effect one desired, there were other models available for set top use. The effects could be awe inspiring. 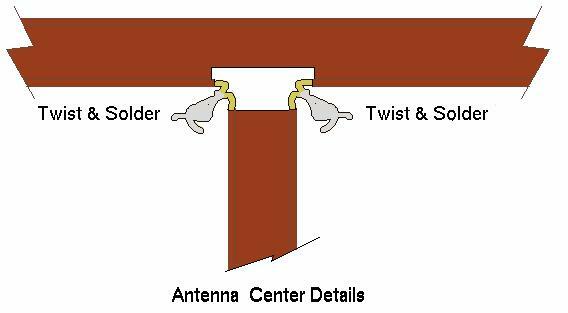 Consider the drawing at left: this antenna appears to have started life as rabbit ears, but someone bent the rabbit’s ears, then stuck a hair curler over them. Did it work any better than regular rabbit ears? Probably not, but it looks impressive. If that wasn’t enough, there was the deluxe Frankenstein’s monster version . This device looks impressive, but think how clashing it must have been amongst more civilized ornaments in the room! 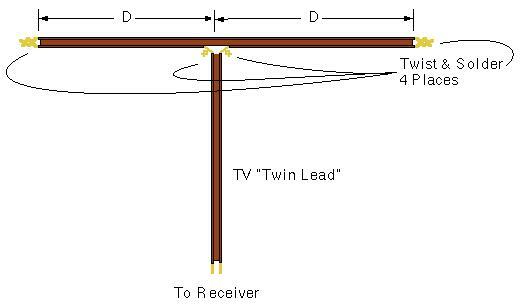 If this antenna doesn’t produce quite enough signal, or one wishes an exterior effect, the antenna can be mounted to a support (Figure 4). The support can be made from wood dowel, or a similar non-conducting material. 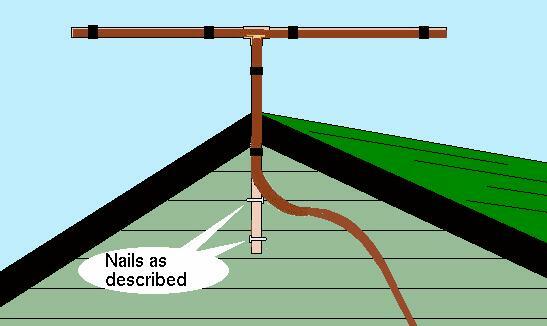 PVC water pipe is a good choice. Half-inch PVC is sturdy enough for the purpose, but 3/4″ or 1″ will work just as well. 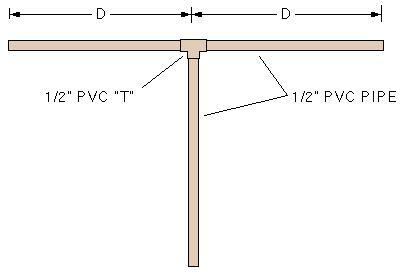 Cut two pieces of the PVC to the length “D”, from table 1. Cement them to either side of a PVC “T”. Cut one longer length of PVC pipe to whatever length is needed to support and elevate the assembly. Cement it to the center of the “T”. 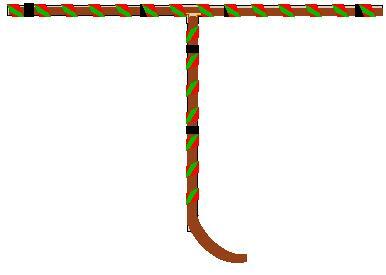 If one wishes, PVC caps may be added to the open ends of the pipe. However, leaving the pipe ends open adds the possibility that some manner of interesting creature may nest therein, adding to the overall effect. 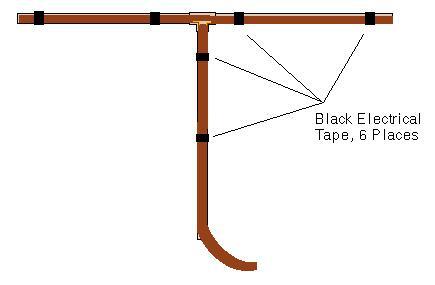 Tape the twin lead antenna previously manufactured to the support with black electrical tape (Figure 5). Other kinds of tape will work as well, but be sure to use nonmetallic tape. Mount the assembly by the pipe attached to the center section, with the broad side facing the broadcasting station (Figure 6). Antenna clamps are available achieve this, but bent nails work quite well, and add to the overall effect. If this doesn’t suffice, leftover Christmas wrapping tape may be applied to add to the overall effect (Figure 7). Once again, be certain not to use tape containing metal. Enjoy your antenna! *And well it should be, because I swiped this drawing directly from the text book I had in an engineering course.